Capturing happy moment is our daily mission, our photographer good at raising the mood in the party. SENS hope to present you with a precious birthday gift that can capture all the smiling faces in the party. We wish to accompany you on every unforgettable birthday. 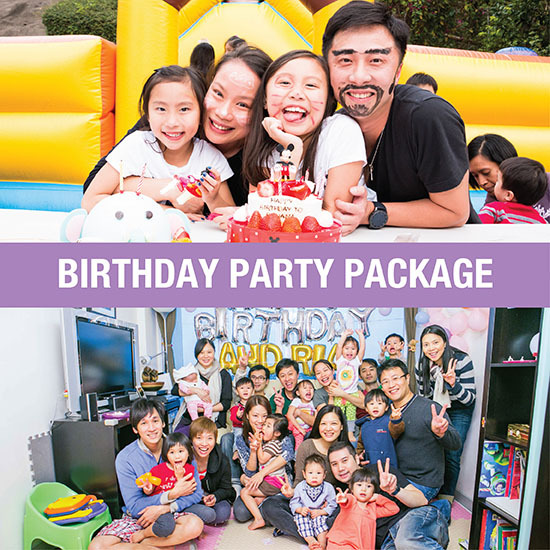 A perfect birthday party cannot without professional photography and videography for keeping you unforgettable memories. SENS photographer and videographer had many exprience in birthday party shooting. Not only having professional skills, but also familiar with children and easily to them laugh. Thus, we can capture the natural moments more easily. Let this party be the perfect moment. Reservation must be made by phone or online booking at least 7-day before photo shooting date, reservation for Saturday, Sunday and Public Holiday is recommended 60-day booking in advance. Voucher will expire in 1 year after the date of issuance. Additional charge: If out of 2 hours shooting session, +HK$800 per extra hour, per crew. Reservation once confirmed are not changeable and refundable. An additional charge of HK$300 is required for cancellation fee. The reservation will be automatically cancelled, in case of inclement weather conditions: Tropical Cyclone Warning Signal No.8 or above and Black Rainstorm Warning Signal. SENS Studio will contact the client for subsequent arrangement. Should there be any disputes, SENS STUDIO reserve the right for the final decision. Powered by SENS Production Ltd.